I know what you’re thinking. “Normal? What’s wonderful about normal? There’s nothing miraculous about being NORMAL.” And going by the definition of the word, you’re right. Normal, as we know it, means ordinary, expected. Movies and novels don’t usually revolve around the main characters rising from obscurity to become normal. In fact, most epic journeys begin with the desire to leave normalcy behind. Fairy tales end with happily ever after, not normally ever after. As a culture, we seek out extraordinary, amazing, sensational, exceptional, above and beyond even when it’s above and beyond our means or abilities. Go big or go home, they say. Stand out. A cut above. Be a big fish, capture the dream, shoot for the stars. Motivational posters don’t exist to encourage being normal, and we sure as heck don’t share about what’s normal on social media. Normal, as we know it, is overlooked, even sometimes embarrassing. No one wants to be normal – they all want to be anything but. In our quest for glory we ignore the very marvel that is NORMAL. We think that being normal means being less than, slower than, uglier than, poorer than. My first pregnancy was not great. I mean, pregnancy itself is a generally hard experience, but my first was pretty bad. High blood pressure, bed rest, fetal monitoring multiple times a week, an IUGR diagnosis and a premature delivery via emergency C-section. We almost lost our baby and then had to leave him in the NICU for weeks. The circumstances surrounding him being born alive and healthy were nothing short of miraculous, and God really got to prove Himself. But as I found myself pregnant for the second time, I prayed differently. Though I knew God to be a God of miracles, of wonder, capable of anything and always holding me in His hand, I prayed for normal. I prayed for a normal pregnancy, a normal delivery, a normal baby. And when my uneventful pregnancy came to an end with an uneventful delivery and a normal baby with nothing extraordinary to share or anything standing out as apart from the norm, I praised God. Because God is as much in the normal as He is in the miraculous. Because sometimes, normal IS miraculous. When the test results come back normal. When the child develops normally. When the baby is delivered normally. When a day goes normally. When a relationship progresses normally. When you can eat a normal meal. When you live in a normal house, in a normal city, surrounded by normal people. Just ask a bride on her wedding day what a blessing it is for everything to go normally. Because there are so many other ways it could go that aren’t “normal”. 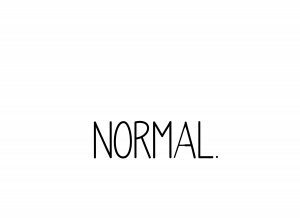 Because normal really means OKAY. It means that what’s expected is what’s in front of you. It means your head is above water and you’re making it. The relief that we experience when we share a struggle and are told it’s normal is marked. I remember very clearly a post I read on Facebook long ago. I was scrolling through, no doubt seeking an escape from the frustrations of being a mom, when I saw a post from a friend, a fellow mom: “What do the parents of normally-developing kids have to complain about?” At first it offended me a little, I’ll be honest. Because someone else’s struggle doesn’t negate my own, because it’s still hard to be a mom no matter what. But then I thought about it, and felt so ashamed and humbled by how right she was. What was I complaining about, really, while she awaited a diagnosis, an answer, any help she could find for her son who was not developing as expected, who wasn’t reaching milestones at the same time as his peers? What was really so bad about my kids being normal, high-energy, needy, rowdy, messy, hungry kids? Nothing. They were miraculously normal, they were okay. I wasn’t watching and hoping and praying for normal, because I’d failed to see how incredible normal actually is. MANY years ago a guest speaker came to the church my husband and I were on staff at. He spoke of bold faith and big moves, and how God had blessed him in return for each of them. Passion like his is always a bit hard for me, the person who stinks at faith most times, the control freak who likes to have a hoard of canned goods and conditioner just in case. My husband came to me during the altar call of the service and told me he felt like God was prompting him to give $500 to this man’s ministry. My breath caught and my shoulders tensed. We had just, for the very first time, received a tax return (having a kid paid off! ), and now had about $512 in the bank. This was new for my little hand-to-mouth family, to have such a cushy amount available. I loved knowing it was there, that bills would be paid, that I could go to the store and buy groceries for more than a few days at a time, that I could get the good toilet paper. That money meant security to me, and now my beloved wanted to give it away. We’d be right back to where we’d always been, struggling, waiting for the next paycheck, and terrified of an unexpected expense. But who was I to tell my husband what he had heard from God? Maybe God would see how much it meant for us to give that $500 and would bless us exponentially in return. I could do a lot more with $5000 than $500, right? So he wrote the check and we went on with our lives. The thing is, though, God isn’t a stock fund. He’s not something you invest in with hopes of high returns, he’s GOD. He doesn’t owe me anything and nothing I have is really mine, anyways. So you guessed it – nothing happened. No surprise checks arrived in the mail. No strangers bought our groceries in line while I was doing last-minute math to make sure we had enough to purchase them. No jewels fell from Heaven and no fish jumped out at me with coins in their mouths. We went about our lives, and I’ll be honest, I was a little disappointed. It wasn’t until years later that I realized we’d been living in the miraculous the whole time. Life went on. My husband and I, early twenties, one job, a baby, a crazy commute, a mortgage, bills, food…. we still made it. We were able to give $500 to the Kingdom and we never missed a meal. It was scary a few times, but we still made it. A young couple struggling to make ends’ meet gave FIVE HUNDRED DOLLARS and still survived. Heck, we made it to where I can buy the good toilet paper if I want almost anytime I go grocery shopping (and I do). This wasn’t amazing because God did something huge when we gave $500, it was amazing because life was NORMAL after we did it. We could easily have been hit with an illness, an accident, an allergy, a ticket… anything to throw us off and keep us from being able to pay what we owed. But we weren’t. We lived life normally, and it is nothing short of miraculous. I encourage you, friend, when you feel like your head is barely above the water, when you feel like you’re only treading water and never getting anywhere, when you feel like you just cannot get ahead… praise Him for that. Because you could go under. You could be knocked down by a wave. You may be exhausted, but you are STILL GOING. God is not a bank account to be drawn upon and there is no promise that we won’t struggle. If you’re not seeing progress, praise Him anyway. If you’re not seeing your bank account swell no matter how hard you work, praise Him anyway. If your bills are always being paid just a little late, praise Him anyway. If your child didn’t make the team they wanted or get into the school you had your heart set on, praise Him anyway. Because He’s as much God in the moments of fatigue and frustration and disappointment as He is in the moments of triumph and excitement and success. Just as the wind doesn’t have to blow for you to know it can make waves, God doesn’t have to be extravagant in His blessings to show His goodness. Can He do it? Yes. Is He any less good when He doesn’t? Of course not. Jesus walked the earth for 33 years, yet most of what we know of His time here is limited to the last three, the time of His ministry. Does only knowing about 10% of His life make Him any less God? Jesus was just as miraculous, destined, and mighty in the 30 years we know little of as He was during the few years of His public ministry. There is still as much wonder and miraculous in the normal as there was in the wonder and miraculous of what made the Bible. As Jesus walked to the well as a teenager, as He endured taunts for being born to an unwed mother, as He went through puberty, washed dirt from His feet, was tempted, was hungry, through it all he was STILL JESUS. The purpose God had for Him and the work He would do was still going to change the world, still had eternal implications, no matter how normal those years were. God was still doing a mighty thing. Isaiah 53:2 even tells us that the Son of God “had no beauty or majesty to attract us to Him, nothing in His appearance that we should desire Him.” Jesus looked NORMAL, ya’ll. Being born in a barn, parents being judged, looking just like everyone around him… none of that disqualified Him from being miraculous. His normalcy did not mean God was not still at work. I’ll even go a step further and say that the cross was nothing special. It was constructed, roughly at that, of wood. Just normal wood, placed between two thieves, held together with normal nails. No jewels adorned it, no gold around it, just wood and nails. Yet just as He did with a normal lunch of bread and fish, Jesus took the common and ordinary, the normal, and did something miraculous. He took wood and nails and forever changed the relationship between God and man. Because in the hands of God, nothing is normal. Nothing is ordinary. 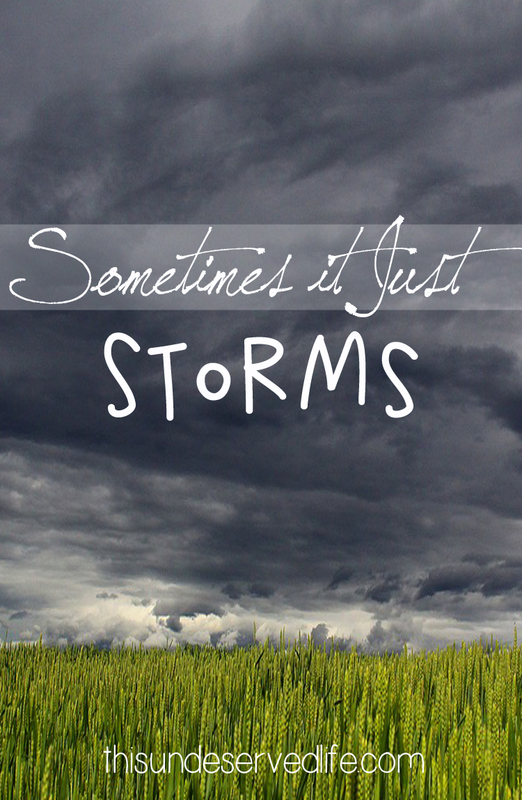 We view our circumstances much differently in the eye of the storm than He does in the palm of His hand. I want to encourage you, friend, that you are in the middle of the miraculous. When each day feels monotonous, when you haven’t seen a miracle, when the phenomenal seems far, you are in the midst of God’s goodness. When you feel discouraged that you haven’t seen a break in the trees yet, you are still on a path and God is as good and wondrous and loving as He will be when you get out of the forest. If your rescue, your healing, your provision hasn’t come yet, if your child isn’t developing how you expected, if your bills are more than expected, if your job seems to be drowning you or your relationship seems to be dying, you are still living smack dab in the middle of a miracle. Praise Him for where you are, be thankful for what IS there, and He will prove Himself time and again to be in control, even if you don’t realize until later that the unwanted path He’s been steering you along is the one you’ve always needed. You are not alone. You are not forgotten. Boredom is not the absence of God, nor is struggle. At the risk of sounding cliché, you may never see your name in the Guinness Book of World Records, but you can be assured through your relationship with Jesus Christ that you’ll see your name in the Book of Life, and there is nothing common, ordinary, or normal about that. I should be embarrassed to admit this, but it wasn’t until I became a driver myself that I knew what the hazard light button was. I remember noticing it for the first time in my stepmom’s little red Civic, the newest vehicle I had ever been in and thus the epitome of technological advancement in automobiles. 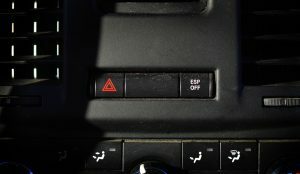 I saw that red triangle button on the dashboard among dozens of other doodads and whatnots I didn’t understand, but the imagery of it was such that I instinctively knew it meant “DANGER”. This could only mean one thing, of course: an eject and/or self-destruct button. Like Batman. I was always very careful in the front seat, afraid that I might inadvertently hit it while changing radio stations and send us both flying into oncoming traffic. This story doesn’t really have an application, I just wanted to share it. My husband is the most selfless person you’ll ever meet, so this isn’t a reflection on his character, only on what the hazard lights have come to mean: when did “I’m in trouble” become “move along”? Hazard lights are intended to alert the other drivers that something has gone wrong with the car or driver, that they can’t go on as normal or at the same rate as the others on the road. Their distress signal has become an annoyance to others. Rather than pulling over to offer help, the other drivers see the blinking red lights and move off to the side in an attempt to get past them quicker. We see the trouble and worry only about how it affects our commute. I once sat on the side of a highway for more than 6 hours with my hazard lights blinking. 6 hours. I’d experienced a tire blow-out going 70 miles per hour and miraculously maintained enough control to safely come to a stop on the shoulder, yet I did not have the knowledge, skills, or tools to change the tire. I made phone calls until my cell phone died (the car charger was still years away from being common), I missed all of my college classes that day, I was starving, exhausted, scared, frustrated, angry. I waited and waited while hundreds of cars passed me by, not one stopping to offer assistance. Could they have been a crazy axe-murderer who wanted to chop me into tiny bits? Sure. Those exist anywhere. But could they also have helped? Yes. But no one did. Despite the very obvious signs I was giving that I needed it. “But Jennifer,” you say, “I don’t have time to stop and help a stranded motorist!” Well, friend, I can promise you that the stranded motorist probably didn’t have time to be stranded themselves. They had work and appointments and responsibilities still waiting for them, too. How much faster would they get to where they were headed, how much faster would the flow of traffic be restored if someone took the time out of their own schedule to just help? “But Jennifer,” you say, “I don’t know how to fix a car!” Well, friend, sometimes just having someone there with you can ease the stress of a motor emergency. My stepdad was in a car accident a while back, a bad one. It was raining and he was alone, trapped. I can’t imagine how scared he must have been, let alone hurt. The wreckage made it impossible to reach his cell phone to call for help, he must have been there wondering if anyone saw, if anyone noticed, if anyone was coming, if anyone would help. Alone. Until some wonderful Samaritan took it upon themselves to climb in there and keep him company, keep him calm, until help arrived. Someone took a detour from where they were headed, got out into the rain, and comforted someone who was very much alone. Someone saw the hazard and responded. You probably see by now that I’m not just referring to car troubles. It applies across the board to life. The depressing social media shares, the mother juggling groceries and children in the parking lot, the elderly neighbor who can’t start their mower, the overweight first-timer at the gym who can’t figure out how to start their machine. People need HELP. Hazard lights are blinking all around us. Yet all too often we just rubberneck the wreckage, slow down long enough to see how bad it is, thank God it wasn’t us, and move on. We glare at the man whose car won’t start in the middle of an intersection, as though he didn’t already know he was inconveniencing the people behind him, when getting out to help him push the car would be much more impactful. We silently judge the single mother who can’t pay her bills when a helping hand, a tank of gas, or a night of babysitting would be much more helpful. We hate the way our depressed acquaintance makes us feel so down when they’re around, when helping them feel better when we’re around could be the difference between life and death. The mom you’re scoffing at for using formula – did you offer her breastfeeding support? The man you’re taking cell phone pictures of because his pants are slipping down – did you tell him and save him the embarrassment? The friend whose marriage is crumbling – have you offered an ear or just observed the wreckage? The relative who is battling a disease – have you visited, listened, helped, or just thanked God it wasn’t you? People all around us need help, every day. It could be as easy as sharing a post from a friend’s business or as involved as taking in a family. “But Jennifer,” you say, “I’m having car trouble, too.” I know, friend. Depression and anxiety are all around us. Financial struggles, relationship battles, health troubles, existential crises, kids, school, work… we’re all struggling. I know. And sometimes all you can do is climb inside the broken-down car and cry together. Acknowledging someone else’s struggle does not negate your own. There’s no way to measure who has it worse, nor should there be. We’re all in this together, all traveling the same road, and we all benefit when someone in need is helped. There’s an actual, documented phenomenon known as the Bystander Effect. In a crisis, individuals are less likely to offer help to a victim the more people there are around. Seriously. The MORE bystanders there are, the LESS likely anyone is to offer any help. Victims will wait and wait for help that doesn’t come because everyone around them assumes someone else will do it. It’s mass apathy. It takes someone taking charge and giving specific instructions to specific people to get anything done. You can’t just yell, “Somebody call 911!”, you have to point to a person and say, “YOU, call 911.” While I’ve seen this portrayed several times on the always-accurate Law & Order: SVU, I recently witnessed it first-hand. I was in a situation that required police interference, and people just stood there. Watching. Some were in disbelief, some had their cell phones out to video. I had to be the one to call the police, because the bystander effect was in full force. This idea, this stopping to help when others don’t, it’s important enough to have made the Bible. In Luke 3 we’re told of the Good Samaritan, the man who stopped and offered assistance when so many others before him didn’t. Jesus Himself offered up everything He had for the good of all of us. You may not have riches, you may not have influence, you may not have extra time, but if the Son of God can offer Himself to help everyone, even the jerkiest jerks and the buttiest buttheads, who are we to just keep on driving by? When did “I need help”, when did “love your neighbor as yourself”, become open to interpretation, prioritization, and impassivity? We cannot live this way. We cannot allow our dependency on others to rid us of any responsibility. We cannot see flashing hazard lights and shrug because they don’t affect us. People need help, WE need help. So what are you going to do about it? God didn’t heal me today. It doesn’t mean He isn’t going to. It doesn’t mean He can’t. It doesn’t mean I’m being punished. It doesn’t mean He’s forgotten about me. It doesn’t mean He doesn’t hear my prayers. It means tomorrow I will ask again. It also means tomorrow I’ll likely wake up in pain again. It means I’ll head straight to the tray on the counter full of orange prescription bottles and gulp down the first round of medications, feeling defeated before I even check my email. It means I’ll have to keep constant note of the time, so I can know when I’m allowed to eat and when it’s time for more pills, since there’s a delicate balance between medications to be taken on an empty stomach and medications that will ruin your day if you take them hungry. I’ll ask Him again, Jehovah-Rapha, the Lord who heals, to touch my body before I swallow these prescriptions. I’ll ask Him when I feel the pain. I’ll ask Him every time I glance in the mirror. I’ll ask Him when I’m doing laundry or unloading dishes or just sitting on the couch. I’ll ask Him when I feel that I need a nap. I’ll ask Him when I want to do more. I’ll ask Him when I see the moms who can do more. By the end of the day I’ll beg Him. When I take more medicines before bed. When I see my name on another prescription bottle and double-check the dosage to make sure this is the higher one, the one that is supposed to make a difference. When I fall into bed and turn on the heating pad. When I groan, ache, sigh. I beg Him to heal me, to touch me, to change me. Most of this I do in silence. Some nights it gets really bad and I ask others to ask Him, too. But He hasn’t yet. The woman with the issue of blood in Luke 8 is often mentioned in sermons. She’s the woman who suffered an unknown ailment for 12 years, a condition that left her penniless after having visited numerous doctors who couldn’t help her, and ostracized for being unclean. For 12 years. This woman is hailed as a hero of faith for having believed in Jesus still after suffering for 12 years, having felt desperation but not hopelessness for more than a decade. In just a few months, I’ll reach the point at which my body has been fighting against me for 20 years. Twenty. If this Pain were a person, it would be old enough to drive, vote, and even hold some public offices. Two thirds of my life I have walked this earth with the knowledge that my insides were jumbled, that I was different from everyone else. That my understanding of pain was different from most others’. 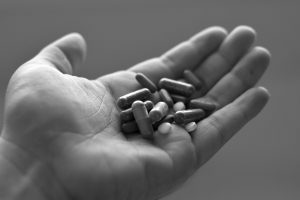 Two thirds of my life I have experienced pain – sometimes just aching, sometimes excruciating. I have cried, screamed, vomited, subjected myself to invasive exams, surgical procedures, chemicals, hormones, rude and dismissive doctors, and God. I still ask Him to help. I know He’s there. He may not be walking past for me to reach the hem of His garment, and oh how I wish He would, but He’s there. He was there when I got my first positive pregnancy test. He was there when my firstborn almost wasn’t born. He was there when my second baby was born completely healthy with no complications. He was there when our third baby left us before we even had the chance to know him. He was there when our fourth baby had some scary test results, and there when we found out she was perfect. He’s spared me, comforted me, and shown me the miraculous. I know that the God who healed the woman with the issue of blood is the same God who knit me together. I know that the same God who created the Heavens is the same God who thought the world needed me. I know He can do it. He just hasn’t yet. I’d be lying if I said I didn’t get mad. Anyone with a chronic condition can tell you that there are good days and bad days, and sometimes both in one day, several times a day. On bad days I get upset with God. I get tired of asking for what I know He can give me, the same way my kids get mad when I don’t give them cookies they know we have. I don’t lie to them, I don’t hide the treats, I just know I’m not giving them cookies just yet. On bad days I’m so tired of recognizing symptoms that I don’t want to talk anymore. I don’t want to have yet another complaint to share, don’t want to drive anyone away with the negativity that lurks when someone asks how I’m doing. I don’t want to pull anyone else down, but I also don’t want to go through this alone. I need to talk about it or else I’ll imprison myself in this body and let illness become my master. The less I share the more isolated I become. On the good days I’m tagged and messaged by well-meaning people, people who don’t understand that oils and Plexus and diets don’t regrow new body parts. Lessening inflammation is nice, but ultimately only a miracle from God can truly heal me. On the bad days I’m told that I’m not praying enough, that I don’t have enough faith, that I don’t look sick, or that I’m not actually even sick at all. On good days, I calmly explain that surgery doesn’t stop the body from producing hormones. On bad days, I’m asked to defend myself, my choices, my intelligence, asked to remain patient while someone gives an opinion or asks an obvious question as though I’d never made the connection that exercise is supposed to cause weight loss. On bad days, when others’ expectations exceed my abilities, I get angry. When my own desires exceed my abilities, I begin to feel hopeless. On good days I can smile and function to the point where only I know I’m suffering. On bad days I want to cry and curse and hide from the world. I’m always honest with God about how I’m feeling, though it’s not as if He didn’t already know. Praying for something for almost twenty years will get you far past formal pleasantries with God. But whether a day is good or bad, God’s ability to heal me does not change. His power does not fluctuate, it is not seasonal. On any given day, God can heal me. He just hasn’t yet. I know others who have suffered longer than I have. I know others who have suffered worse than I do. I know some who blame God and others who still turn to Him. I know some who have lost their battles and others who fight on. I know some who have been healed and many who are still waiting. No matter who I know, they all pale in comparison to the One I know in Heaven. The One I know can heal me. The One who offered His body in place of mine, who willingly took suffering upon Himself to give me the chance at a life without it. He is the One who knit me, who perfected me, who knows the hairs on my head and the desires of my heart. He knows my voice and He hears my prayers. I don’t know why God hasn’t healed me yet. I don’t know if I’m supposed to learn anything. I don’t know if He ever will. But what I do know is that He can, and so I will keep asking. Last weekend my loud little family and I were swimming at my parents’ house. It was a great day, full of splashing, grilling, laughing, and the inevitable anxiety that comes with having 3 kids in the pool at once. My 7-year-old had come a long way over the summer and was swimming like a splashy, awkward fish, so we’d been playing a game where I’d toss a stone into the pool and he’d swim down to retrieve it. I played this all summer long as a kid myself – though, being an only child, the high-fives when I swam up triumphantly were pretty bizarre. He was so excited, you could see his smile through the water before he ever broke the surface. But then I got a little too excited and did the unthinkable: I tossed the stone into the deep end. We all encouraged him and stayed close as he tried, and tried, and tried, then tried some more, but it just wasn’t happening this time. He would stand at the edge of the pool, close his eyes, and pray each time before he threw himself into water almost twice as deep as he is tall. He’d done it before, and having inherited his mother’s stubbornness, he was not willing to give up without trying. And trying. Then trying a few dozen more times. After more than half an hour, it was just him and I in the deep end. Everyone else had gone on to play and splash, cheering him on from afar. I decided to sneak over and see if I could use my feet to scoot the stone to a friendlier depth, since the water was just a few inches over my own head. But I did not go unnoticed. I took swimming lessons as a child, and practically grew gills from all of the time I spent in the water. The Little Mermaid was my favorite movie (WAS? ), and I would cross my ankles and pretended my feet were the fins at the end of my glorious mermaid tail. I am a certified SCUBA diver, for goodness sakes! Yet this small task had me frozen. You see, ever since I became a mother almost 9 years ago, I haven’t been swimming. I’d been in the pool, sure, lakes, even the ocean. But I hadn’t been swimming. Head-under-water, hold-your-breath, nothing-beneath-your-feet swimming. Without knowing it, I’d parked myself in the shallow end, holding babies and toddlers, observing eager boys, barking out orders about splashing. I’d hold onto them, show them how to kick behind their bodies, correct their arms, cheer them on, toss them, tickle them, and teach them, but I hadn’t been SWIMMING with them. Of course, there were times when this was absolutely necessary, and I don’t regret the watchful eye I kept over my little tadpoles as they turned into frogs… or some other aquatic animal that’s maybe not so gross. But here I was, a 30-year-old woman with years of swimming experience, and I was pausing before diving. Part of it – okay most of it – was that I was embarrassed. I didn’t want everyone else to see me go under, for fear that I’d thrash and flail like my kids when they were beginning to swim. I didn’t want to head towards the bottom of the pool, only to come up empty-handed. I didn’t know what I’d look like, didn’t know if I’d fail, didn’t know if my ears would pop or my eyes would burn or my nose would sting. It had been nearly a decade since I’d felt the weightlessness of water, and I was feeling it. There’s really no way to describe it eloquently, it was over so quickly. I took a breath, dove down, got the rock and popped back up. No biggie. But I did it. People saw me do it, too. And it was no big deal. Well, apart from the mascara streaming down my face and the water that just WOULD NOT stop being in my nose. A minute later, I did it again. I’m sure I didn’t look like Ariel, but I made it to the bottom and back up, and the day went on. This all seems like a strange story to share, I’m sure. And until I felt God speak to me, the moment would have passed as if it were no different than trying a new food or hearing an old song I liked on the radio. But as I was back in the shallow end, watching the little one jump up and down in three inches of water, I felt the Lord speak to me about how significant it had been. How many other areas of my life had I spent hanging out in the shallow end since becoming a mother? How many hobbies had I let fall aside? How many opportunities had I passed up? How much of myself had I lost in assuming the identity of a mother? How long had I allowed my relationship with God to consist of me just treading water – or even just calling out and keeping watch from the shallow end as I guided those going deeper than myself? I get it, we’re busy. We’re tired. We’re stretched and pulled and needed and wanted, and we give so much of ourselves to our children that it feels like there isn’t time or energy or money to do anything for ourselves, and a lot of times there isn’t. Friendships can fizzle and pastimes become the past as we devote our lives to raising our kids. When I was preparing to graduate college over nine years ago, I had grand plans, great ideas about my future and bubbling excitement about what I’d do with my hard-earned degree. I was going to devote my life to helping others, I’d dress up for work and have an office where I’d hang my counseling degree, I’d make a DIFFERENCE. Then I saw two lines on a test I took on a whim, and all of those plans dissipated like smoke. My future no longer belonged to just my husband and I. On that morning in March, the same day I was to have my exit interview for graduation, everything changed. I waded to the shallow end. Don’t misunderstand me, I don’t take my calling as mother lightly. This work we moms do is invaluable, influential, immeasurable, and infinite. I wouldn’t give a thing to change the years I’ve had with my children, and I know that it will impact generations beyond just my own. But in that hard work, in the gravity of the work I’ve been doing, I stayed in the shallow end. I let fatigue keep me from hobbies, let stress keep me from relationships. If you haven’t heard the song Oceans by Hillsong United, do yourself a favor and go download it. Right now. It’s an incredible worship song, and I absolutely love it, but there are parts of the song that make me uncomfortable to sing. “Take me deeper than my feet could ever wander, and my faith will be made stronger.” Um, can we just hang out over here where it’s safe? Where I can feel solid ground beneath my feet and know that a wave won’t take me down? Where I can breathe as I wish and not take the risk of running out of air? It’s an incredibly perplexing predicament that motherhood puts us in, simultaneously proving God’s goodness in His ability to create life and planting almost crippling anxiety in us at once. I have never been more scared than I am as a mother. Diseases, accidents, bridges, water, fire, side effects, allergies, predators, bills, tornadoes, floods, snakes, spiders, famine, war, inappropriate commercials, Caillou – there’s just so much to be afraid of for our babies. So we devote ourselves to remaining watchful, ever vigilant, observing from the shallow end. We are EXHAUSTED. To our bones. Sickness, nightmares, potty training, school, sports, practices, activities, play dates, doctor appointments, homework, projects, cooking, cleaning, folding, hanging, refereeing, soothing, reprimanding, teaching, guiding, Minecraft – everything takes so much from us and leaves us with nothing left, resting in the shallow end. Personally, I’ve been focused on being a mom for so long that I feel embarrassed and timid about trying to be anything else. Would I still be relevant if I tried to get an interview somewhere? Can I still relate to other people? What WILL I do with myself once the kids are old enough to not need me here? Heck, what will I do with myself once they’re all in school and the house is empty and quiet, devoid of fights to be broken up, books to be read, and dolls to be played with? I’ve reached the age where I watch shows that have been off the air for 10 years and listen to music that I first purchased on a cassette tape. Is there a place for me in this world, or is my time up? What will I look like if I try? What will people think if I fail? What can I possibly have to offer apart from being a mom? So I stay in the shallow end, where I know my place, where I can do my job. The problem with the shallow end is that eventually, everyone outgrows it. Two out of three of my little ones are now in the deep end, and the day will come when the littlest one takes her first brave journey into water she can’t touch bottom in. I can’t stay in the shallow end, more than anything, because that’s not where my Savior is. He’s walking on the deep end, calming the waves, inviting me to trust Him, to join Him. I urge you, fellow mommies, daddies, friends – don’t stay in the shallow end. There’s a time and a place for it, yes, but don’t forget what it feels like to be completely submerged. Don’t be so nervous and tired that you miss the opportunity to experience the weightlessness of having nothing beneath you, especially when the weight of the world is upon you. The deep end is scary sometimes, it’s more work, it’s a little unknown, you have to hold your breath and you can’t see what’s going on above you – but you can’t have much fun in the shallow end, at least not for very long. Let’s vow to dive in, to find what we loved and forgot, to kick our feet and ruin our hair and find ourselves again. Let’s give faith a chance. Let’s allow God to carry us. Let’s find something we like to do – and do it. Let’s stop being so scared of being someone else that we forget who we actually are. Because the whole time I was underwater, I was still Mom, just much, much better. I hate this phrase. I hate it because it’s usually accompanying a really tough time, and the phrase, while meant to encourage the sufferer that their woes are temporary, often feels flippant, cliche, and dismissive of how horrible the trenches can be. Because in the middle of a season, it doesn’t feel like a season, it feels like forever. But it’s true. Heck, it’s Biblical. “For everything there is a season, a time for every activity under heaven.” (Ecclesiastes 3:1, in case you’re wondering.) It’s scientific, too. Strawberries aren’t meant to grow in winter, snow isn’t meant to fall in summer. There are seasons for sowing, seasons for reaping. There are seasons for enjoying the spoils of a season spent working, and seasons for huddling and weathering the storms. Seasons where everything is in bloom and seasons where everything appears frozen and dead. Seasons do not appeal to me, for the most part. I don’t like change. I like control, and I can’t persuade a season to stay, or to stay away. The beginning of every season is exciting, a new start, a change in perspective. Fall boots and Starbucks! Pedicures and ice cream trucks! CHRISTMAS!!! There’s always something to look forward to when a season changes. But then the allergies kick in, or isolation sets in. We’ve been cold and shut up inside with short, dark days or sweating for weeks during the never-ending summer days. Seasons always last just a little longer than we’d like them to. And with “seasonal” fruits and vegetables being grown and manipulated to be available year-round, indoor pools, and Peeps being sold during holidays other than Easter, the lines get blurred and we get bored. Quickly. My season right now is one of planting. It’s a hard season. It requires lots and lots of work, time, attention, sacrifice, and sweat, with no indication of how the harvest will turn out, no taste of reward just yet. I have young children. For a while I fought the season. We drug our children along with us and asked them to adapt to our schedules. We tried to plant during the wrong window. Since before we even began dating, I worked alongside my husband in ministry. If there was an event, I was there. If there was a girl in tears, I was ready. We stayed up late getting our calendars to look the same, dreaming up more ways to reach our students and spend time with them. I started wearing down, but there was no way I was going to admit I couldn’t do it all. I tried. Hard. I fought tired, hungry kids and schedules that were happy to eat me alive without a blink. I tried to be available to everyone, all the time. I scoured the internet for advice on being a ministry partner and a mother, I asked every pastor’s wife I knew, I cried, I begged, and I darn near collapsed every time I heard “It’s just a season.” I remember the disappointment, the near grief I felt when I thought I’d found a book that would give me the answers, only to discover upon reading it that nannies and babysitters were what made motherhood and ministry possible. I want to raise my children the way that God seems to think I can, the way He called me to. It was time to recognize that I couldn’t serve everyone else’s families while I served my own in such an important capacity. It was time to accept my season. My calendar began to gradually look different from my husband’s. It’s still strange to me that there are new students who I don’t know, events that I don’t attend, sermon series that I don’t hear. Every now and then, someone will make a comment about my not being there, and it hurts, but I know I’ve made the right decision. I simply can’t do it all. And if I miss this season of planting with my children, I will not see the harvest in the next. God has called me to ministry, I just had no idea that ministry would be at home, and that three children could take up more energy than 100. The best part about seasons, despite the fact that I can’t control them, rush them, or pick and choose what can be accomplished in them, is that they’re not permanent. We don’t live in the south pole. With babysitters not being an option, I can’t go to the movies right now. I can’t attend 99% of the things I’d like to. I can’t be by my husband’s side in ministry (although I’m learning that behind him in ministry is just as important). I have to turn down invitations and opportunities, friends and family. If a kid is sick, I stay up and stay home. It can often feel like a winter season, where nothing much changes, where I live in near isolation. But I am planting, planting, planting. Working the soil (complete with fertilizer, since one is still in diapers!). Learning how much water each one needs, giving each one the right amount of sun, nurturing growth, taking setbacks personally. I am a child gardener, throwing myself into the task of growing healthy, prosperous people. No matter how long this season lasts, it absolutely will not be forever, and will likely be over before I feel like I’ve had the chance to do my best. Ministry or not, mother or not, we’re all in seasons. And we’re all in different seasons at different times. It can get really depressing really quickly to compare my sowing season to another’s reaping time. It can get really discouraging to try and live in a season other than my present one. Some days feel like they’ll never end, some days I even resent this season. But it won’t last. None of this life is permanent. Seasons come and go, seeds are planted and seeds grow. Harvest, winter, planting, growing… it’s all one big, ever-changing cycle that will continue whether we want it to or not. The sooner we (I) embrace our (my) season, the more effective we (I) can be in it. In the winter, we can rest and know that the sun is coming. In the harvest we can see the benefits of our hard work and understand how everything we did was so important. Dear friend, whether you are a parent, a single person, struggling or thriving, take heart and know this time will not last. There are plenty of other seasons ahead for you, and the change in season is not BECAUSE of you. The seasons change without regard for our feelings, but how often we allow the seasons to rule them. Embrace your season. Accept that it is only a season. Get the most out of your season. Know that each one prepares you for the next. Anticipate change even in the most monotonous of times. And if you don’t see me, it’s not because I didn’t want to be there. I just have a crop I’m tending to at home. Are You Makin’ A List, Checkin’ It Twice? Last night, while doing the final before-bed Facebook scroll, I saw about 4 posts of ladies referring to their list of Perfect Man Attributes. You know the list. The list of qualities that your future husband HAS TO HAVE, that you pray over and ask God for and measure every guy up to (until you meet one who is just so flippin’ cute that you want to bend the “rules”). You totally made one in middle school. And another in high school. And one after every church camp. Maybe when you got to college. Maybe after watching The Vow or something, I don’t know. I TOTALLY had one. And not just a puny list, it was accompanied by a drawing, colored in with map pencils, and ranked by importance. This fictional man that I prayed so earnestly for had blue eyes, dark hair, was 6’4” (I’m tall, the struggle is real), played baseball (not because I was an avid sports fan, but because I was a lustful teenager), and loved Jesus with his whole heart. My husband of more than nine years DOES have blue eyes and dark hair, but he doesn’t wear baseball pants, and, while taller than me, is not 6’4”. Does this mean that God did not honor my requests, that He wasn’t listening? No, it means my list was stupid. I am a wedding photographer. I’ve lost count of how many couples I’ve had the honor of photographing, but I do know that I have not photographed a SINGLE bride and groom smiling, holding up their checked-off lists, giving a thumbs-up. I also have a degree in counseling, and I tell ya, either I missed the day our professors went over comparing lists in premarital counseling, or the topic just was not covered in the Marriage Preparedness and Strengthening units. Jacob didn’t consult his checklist when tricked into marrying Rachel, he just knew that she wasn’t Leah. I don’t know how the phenomenon got started, but I can’t find anything to support it. Don’t get me wrong, us gals deserve good things. And yes, God wants to give us the desires of our hearts. But how about instead of creating a list to mentally compare every guy you meet to, you compare every one to Christ. Does he love? Does he extend grace? Is he chasing after the Father? Consult the checklist in 1 Corinthians 13. Is he patient? Is he kind? Does he rejoice in wrongdoing? You are not shopping for a car. You are making yourself available to someone who you will spend your life with. Don’t set up parameters that can come and go like trends, measure him by the Word of God. Jesus would never slap you around. Jesus doesn’t get drunk and blow the rent money. Jesus doesn’t care about swag. God said He would never leave you nor forsake you. THAT’S what you need until you are parted by death. That’s someone who will stick by, in sickness and in health. I have had several friends who have met incredible men, but were hesitant to pursue a relationship because of a deal-breaker from their list. “But he has a child from a previous relationship.” “But he has a giant face tatoo.” Listen, I would hate to think of how many times I would be deemed “unworthy” because of how I fell short of a list my husband may have dreamed up. Thank God He doesn’t count me out because of my mistakes. Thank God He doesn’t count me out because of ways that I don’t measure up. Stop worrying so much over the present circumstances of your ideal husband, and start praying over his future. Stop daydreaming about his physical qualities and start praying over his HEART. Don’t worry and fuss over the things he does before you meet him, but begin praying for him as your HUSBAND. Pray that he would exercise wisdom with your finances. Pray that he would lead your future family after God. Pray for your husband, not for God to make the hot guy who brings his guitar to youth camp INTO your husband. But you know what list you should make? Make a list of the qualities YOU want to have as a WIFE. Pinterest has made weddings so romantic, but after that one single day, you’ll be a wife for the rest of your life. After you’ve found the guy, you’ll need to make it work every day after. Make a list of qualities you’d like to exhibit and pray over THAT. Compare to THAT. Will you be a patient wife? Will you support your husband in any career he chooses? Will you speak kindness over him? Will you publicly cheer him? Concern yourself with BEING the right person more than FINDING the right person. God knew you before you were born. He knit you together. You are His masterpiece. The same goes for your future husband. God made him long before you put pen to paper. Open yourself up to Him, trust that God knows what He’s doing. In theory, if you are looking for The One, then every single man you meet but ONE will be him. Billions of no’s. Billions of Not The Ones. Don’t be discouraged. Don’t waste your energy and set yourself up for disappointment by comparing every man to a list. Pray for this unknown man’s heart, pray for God to prepare yours, and open yourself up to His will. Author JenPosted on Categories Devotion, Inspirational, Relationships, Self ImprovementTags christian dating, dating, finding mr. right, finding the one, finding the right one, marriage, relationshipsLeave a comment on Are You Makin’ A List, Checkin’ It Twice? I’ll be honest: I don’t always want to watch. “Do you want to watch me draw?” Not particularly. I’ve got two other kids and dinner and laundry and dishes and Facebook all calling my name, and I forgot to put deodorant on today. “Will you watch me build with my Legos?” Do I have to? There’s not much for me to do, just sit there and NOT look at my iPhone. “Watch me go across the monkey bars for the 8 billionth time!” Dude, I brought you to the park so you could play over there and I could sit, untouched, over here. I don’t say these things, of course. I watch. I’m not always excited to watch, but I try to just sit and watch. And when I watch, I love what I see. Seeing and watching are two different things. Watching is just acknowledging what is happening in the moment right before you. Seeing is looking past the present and dreaming about how it will lead to the future. A spectator watches a gymnastics competition, a mother sees the next Olympic gold medalist. 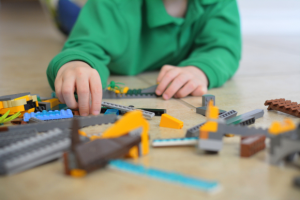 A spectator watches a child play with Legos, a mother sees an award-winning architect. A teacher watches a student give their first speech to the class, a mother sees the future president of the United States. Conversely, a spectator sees a child walking on their toes or not speaking very much, and a mother will see autism. We mothers, we parents, look at our children and apply these moments in a sweeping blanket to their entire future. It’s a blessing and a curse, when we let worry creep into our dreams, but no one can see the potential in a child like a parent. What, then, does God see when He watches us? When we stumbled, when we failed, when we cowered in guilt and shame, did He not look at us and SEE the future, what He created us to be? Does He not smile knowingly when we exclaim in middle school that we could never be missionaries? What did His face look like when others looked at the small, unassuming baby born in a barn and turned their nose up at his circumstances? Didn’t Mary know when Jesus was a child, carrying on conversations in the temple, that one day His words would be preached from the same pulpit? The most powerful scene in all of The Passion, for me, is when Mary, mother of Jesus, is watching her son, battered, bleeding, and broken, stumble through the crowd and she flashes back to him falling as a young boy. God gives us the ability to see in our children, not to create a competitive edge, but to equip us to support, catch, encourage, and guide our children. It is HARD to take three kids to swimming lessons. HARD. Especially when the lessons aren’t at the same time, or in the same pool, and you’ve got two kids to entertain (or keep from “flying” into the pool) while another one is learning. You want to celebrate each stroke while simultaneously zone out for the 30 minutes that someone else is entertaining your child. Every summer, my boys take swimming lessons, and every summer, I consider just buying them adult-sized life jackets because it’s so dang hard to juggle timing, snacks, boredom, a stroller, towels, goggles, wet carseats and WATCHING. But then I see something: my oldest son, built like a pool noodle, gliding through the water with speed and precision, reaching the edge before anyone else, kicking with power and intent. That’s right, my son is the next Michael Phelps. You laugh, but Michael Phelps’ own mother dragged three kids to swim lessons, Michael Phelps’ own mother saw her son take to water like a fish, and Michael Phelps’ own mother saw a future champion in the long-legged boy she was raising. At some point, Michael Phelps’ mother looked up from her word search (I’m guessing) and started SEEING her son’s talent. David, in the Bible, was a big deal. He was king. He was wealthy. He was a mighty warrior and successful leader of armies. He got the ladies. From his lineage came Jesus Christ. David was a chosen man of God whose actions made history and influenced the world around him. Did anyone see that when he spent each day in the field, tending to sheep as a teenager? Did his mother know that when David sang idly in the fields, he was preparing his praises to become Psalms? Did his mother know that his slingshot, barely a toy in the hands of her young boy, would bring down giants and raise up a nation? When David came home and told tales of killing a lion and a bear with his hands, did his mother see that God was strengthening a soldier, a man who would kill his tens of thousands? When it came time to seek out a new king, no one even thought to present David as an option. This boy who spent his days singing, protecting flocks, playing with slingshots. This boy who was, while seemingly going about mundane tasks, being prepared to be a KING. Our children have purposes. They were perfected in the womb. They have a future. Our children are fearfully and wonderfully made. They were made with intention, with a destiny that we could never dream up on our own. We do not get to decide their destiny (believe me, I wish I could! ), but we are charged with the sobering responsibility to shape them in preparation for it. I can beg God all I want to not to call my oldest into ministry (it’s a tough life, yo), but that won’t change His plans for my boy, or His plans to change the world through my boy. I can want to shield and protect him from the world all I want, but that will only hinder what God wants to do through him. When he was about to start kindergarten in – gasp! – public school, I was sobbing, as any mommy would. I was terrified, I was sad. I cried out to God “Lord, he’s about to go out into the WORLD!” And God, clear as day, said to me, right there in my car amongst my snotty and undignified tears, “That’s what I created him for.” Boom. So let’s stop just watching them. Let’s open ourselves to see God’s purpose for them, let’s listen to the Holy Spirit and make ourselves available to their future. To see the musicians banging on pots and pans, to see the pastors praying fervently for their friend’s missing dog, to see the artists covered in eyeliner, to see the policemen protecting their siblings on the playground. Thank God that He has given us an inside track on how to pray for our children, for their future, for their purpose. And thank God that He sees so much more in us when He watches. Side note, I’m still praying for baby girl, unless God can find a way to use an obsession with Barney for His glory.